It was fifty years ago today- Sunday December 15, 1968- former World Heavyweight Boxing Champion Jess Willard dies at the age of 86. Willard was one of the largest heavyweight champions at 6’6″ 1/2 and 235. He gained the title in a controversial victory over the great Jack Johnson in Havana, Cuba on April 5, 1915. Many have accused Johnson of taking a dive that day. Willard was a boxer who was known for his ability to take a lot of punishment wasn’t an active champion- only defending his title once before he was beaten badly and lost the championship to Jack Dempsey in 1919. Willard didn’t start his boxing career until the age of 27. He had been a working cowboy out west. His record as a fighter isn’t all that impressive either- in 35 fights he had 26 wins- 20 by knockout, 6 losses, 1 draw and 2 no contests. He is remembered most as the man who beat Jack Johnson one of the all-time greats and Dempsey another immortal. 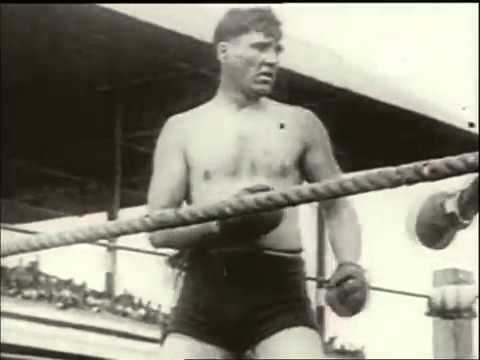 The Dempsey fight was known for the beating Willard took- he was reputed to have suffered a broken jaw, cheekbone and ribs and lost several teeth. Willard’s boxing career would continue until his retirement in 1923 from the ring. He died in Los Angeles on this date in 1968 and is buried in Forest Lawn, Hollywood Cemetery, Los Angeles, California.